This is a true romance in every sense, and will have you hooked right from the start. The novel is set within the backdrop of the British legal industry. Isabel Harris and Edward Taylor are great colleagues but they are the most unlikely of couples. Edward: the charming ladies’ man, enigmatic, devilishly handsome and the best barrister around. He sets hearts beating wherever he goes and has a following of female admirers that stretches on and on. Dowdy Isabel is obsessed with her job, but damn good at it, and in contrast lives a simple life and is seemingly content with her quiet existence. She is very cagey about her personal life, and gives nothing away about her past. They never look upon each other as anything other than work colleagues. That is, until a fire at Isabel’s flat leads to her spending Christmas at Edward’s family home, where they begin to see a different side to each other. Edward’s mother is dying of cancer, and Isabel helps Edward though this difficult time, and during the process, they begin to develop feelings for each other. After the funeral however, when they return to work, Edward seems to go back to his normal self with his hot girlfriend Amanda, and so Isabel decides she should ignore whatever it is that she feels. She thinks he is way out of her league anyway, and would never dump his stunning girlfriend for someone like her. As time goes on, she becomes more and more convinced of this, as when Edward and Amanda plan a romantic getaway to Paris, Isabel is convinced he is going to propose to her. However, in a strange twist of events, they finally end up confessing their feelings to each other. But any happiness is short lived, as this euphoria is followed by a shocking revelation relating to Isabel’s past. This story is full of tension, love, laughter, sadness, tears, comedy and everything in between. Just the sort of novel you need to come home to after a hard day at work. I have worked in the legal industry all my life, and come across some really interest characters and cases along the way, and I live in England and am surrounded by beautiful landscapes, vibrant cultures and historic buildings with a rich heritage. All of these combined with my own imagination led to the creation of the story. I have created the characters from my own imagination, and developed them so that they are interesting and easy to love, but some of the traits I have seen in people through my work, and socially, and I have just developed these with artistic and creative licence. Unsurprisingly, Isabel didn’t sleep well last night. She looked over groggily at the time. Just great, she thought. She was going to be late for work. She was never late for work. But then again, this wasn’t just any old day. She scuttled around the bedroom in her little flat, and grabbed the first blouse, skirt and pair of shoes she saw. She hurried her make-up and scraped back her hair. She grabbed her bag, slipped on her warm winter coat, and noticing the rain outside, quickly found her umbrella and dashed out. The rain hammered down on Isabel’s flimsy blue umbrella, as she hobbled down the path that led from the side of her apartment. It was cobbled and uneven, but a welcome shortcut to the train station. She cursed herself for wearing high heels on such a blustery December morning. She only just made it onto the train. As she dropped into her seat, her mind wandered. Today, she was allowed to think about it. As the train whizzed past the lush green Yorkshire countryside, she could almost see on the rain speckled window flashes of images from that miserable time. She closed her eyes for a few moments. Remembering the sadness wasn’t difficult; forgetting it seemed impossible. The painful memories were never going to leave her; she would always be haunted by them. Like a bad dream, on repeat. It felt like yesterday. Even if eleven years had passed. Eleven years during which she hadn’t been able to trust anyone. Or love anyone. She had resolved that that thing called “love”, whatever that sad and sorry thing was, was never going to determine the course of her life again. Never. She opened her eyes, and tried to pull her mind away from the gloom of the past, turning her thoughts instead to today, and her busy work schedule. Isabel Harris was the Senior Clerk at St Matthew’s Chambers, the most prestigious Barristers’ Chambers in Leeds. She quickly replied to some routine emails and made a list of the things she had to tackle today. She checked her mobile phone diary for the appointments for today, and noticed that there was a family case conference first thing where she would be assisting Edward. ‘Good Morning, Isabel. Nice heels!’ shouted Edward, with the cheekiest of grins, as she stumbled in and he walked past her. ‘Yeah, yeah,’ she retorted, knowing she looked a sight having been literally blown into the office, dripping wet. She ran and hung her wet coat and brolly, and as she returned to her desk, in came little Jimmy, and dropped a load of post on her desk. Jimmy never said much, being a rather hormonal seventeen year old teenager, but on this occasion he actually did have something to tell Isabel. ‘Oh good, because I need to dry off a bit first, and get myself a cuppa. Be a love Jimmy and just let Edward know’. Edward Christian Taylor specialised in family and crime mainly, and had been a Barrister at St Matthew’s about eight years now, a couple more than Isabel. Edward was the epitome of the word handsome. The much sought after bachelor, now thirty eight years old, was always being chased from pillar to post by one admirer or another, and never seemed to be too far from a swooning lady or two. He was not only totally dishy, but he had a mischievous streak which only added to the attraction. However, none of that charm or wit mattered a jot to Isabel. She just made sure that he stayed focused on his work and did the best job he could for his clients, and when he did his job properly, he really was the best around. Isabel had worked her way up from a Junior Legal Secretary in her late teens at a Solicitors firm, to the most Senior Clerk at Chambers. She not only had overall management of the barristers’ diaries, but she was also responsible for all Junior Clerks and administrators, and boy did she take her management duties seriously. Her pursuit for perfection in her own work was all when and good, and although she was generally speaking liked by her colleagues, when she expected the same impeccable standard from her junior members of staff and pushed until she got it, it did cause resentment from some quarters, who saw her as overly finicky, and a bit of a slave driver. Edward often thought she was a hard taskmaster, the toughest in the office in fact. Half the women working at Chambers seemed to be in love with him, what with those “come to bed” green eyes and his distinctly seductive voice. His general manner was a unique cocktail of a touch of intrigue mixed with an audacious sense of humour, which the women couldn’t seem to resist. The other half? They had been in love with him and had now given up. The Edward fan club didn’t stop with his colleagues; there were all the clients, and even a few of the Judges! But not Isabel, pondered Edward. She was just on a never ending mission to ensure everything was done right, and on time. No, she was a cool cookie. She was unflinchingly professional, work obsessed and most definitely not interested. Not that it bothered Edward much, for a second or two maybe, and then he moved on. He was curious, but not that much. He had another date tonight with the utterly gorgeous Amanda Leigh, a Solicitor from Manchester who he had met at a trial a few months ago at Preston Crown Court. She’d wasted no time in demonstrating how she had felt about Edward. She’d chatted him up on the very first day of the trial, and managed to get a dinner date out of him by the second. And before he knew it, they were an item, and were seeing more and more of each other. She was tall, blonde and ….well that was all he could think of right now. Good fun! Yes, she was definitely that. Isabel entered the conference room just after Edward, and greeted Harry Moore, who was with his client James Dutton, and his partner Linda who had come along to give him moral support. Isabel poured the tea for the clients, and then handed a cup to Edward. James and Julie Dutton had divorced over a year ago, after nine years of marriage. The marriage had irretrievably broken down, and Mrs Dutton had petitioned on the ground of Mr Dutton’s unreasonable behaviour. The petition had cited that he was work obsessed, neglectful of Mrs Dutton, he didn’t pay her enough attention, failed to take her to social gatherings, causing her untold anxiety, and so on. Mrs Dutton didn’t work, but Mr Dutton on the other hand was an airline pilot. In his defence, he said he had worked long and hard for the family, to give his wife and children a first-rate standard of living. This had included private schooling for the children and all the luxuries of life for his wife; beauty and spa treatments, holidays, cleaners, private gym membership, a brand new Mercedes C class. The ancillary financial matters had not yet been agreed. The couple had three properties, the larger family home in which she and the children resided, and two smaller properties, one of which was rented out, and the other in which Mr Dutton lived with his partner Linda. But the case that was the subject of the Conference today however was Mr Dutton’s application for the Court to make an Order for the children to reside with him. ‘Shall we make a start on the matter then, Mr Dutton?’ Edward asked, shuffling around his papers. ‘The hearing is only a few weeks away. I note the children will be seeing the court officer again in a few days, and it’s imperative that we go through every detail in readiness,’ he added. ‘Of course,’ replied Mr Dutton. Edward let out the faintest of sighs, and looked at Mr Dutton with quite a perplexed expression. ‘Well that’s just not true!’ Mr Dutton said, quite vehemently. ‘I mean I truly think Amy and George should live with us’. Oh yes, perceptive as ever, thought Isabel. Another one of the barristers would have just jogged along with the case and not bothered with looking behind the man’s face in the slightest. But that wasn’t Edward’s style. Heartthrob and prized bachelor maybe, but Edward had the most endearingly caring side which came through every now and again. He had the human touch, a handle on people’s emotions, which was all too often absent in other lawyers. Isabel flicked her long stray strand of dark chestnut hair back behind her, and looked thoughtfully at Mr Dutton. His face looked pained. Something really was bothering this man. Even she was intrigued now. ‘What is?’ asked his solicitor, feeling rather left out of the whole conversation, and even more put out that his client hadn’t told him what was bothering him. Mr Dutton looked at Linda, who nodded her head and urged him to go on, but he fell silent again. ‘Mr Dutton,’ intercepted Isabel, ‘you are aware that anything you say in this room will be treated with the utmost confidentiality. It will go no further, and on that you have our word. Please don’t worry. We won’t be shocked, or think that what you have to tell us is silly. We have heard allsorts in here, so just take your time and tell us what is preying on your mind.’ She was hoping that her softly softly approach would coax him out of his shell. ‘As I said, it’s just this feeling I get. About Alex.’ Mr Dutton said. ‘You have no proof? You’ve not seen anything? Has Amy said anything that has prompted your concern?’ Edward asked, tilting his head slightly. The room fell silent for a while. Isabel had a cold tingly feeling, and as she looked around the room she could see what everyone was thinking. ‘We will try our utmost for a successful outcome Mr Dutton, of that I can assure you. But as a last ditch attempt, and if only to put your mind at ease, so you can say that you explored all avenues, why don’t you re-consider, and try to talk to your ex-wife? It certainly can’t make your position any worse just to speak to her about it, you never know.’ And with that Edward instructed that they begin the task of going through all the statements. ‘That was quite a strange meeting,’ Isabel commented as she and Edward made their way down the corridor after the meeting had finished and they had said their goodbyes to the clients. ‘I know you will. And I know what he means, poor thing. Sometimes it’s just intuition, a hunch, nothing more. So what have you got planned for this weekend?’ she asked, changing the subject as they walked into her office. Isabel went from her filing cabinet to her computer and told Edward about the directions hearing on the Martin case at the County Court at 2pm, scheduled for one hour, after which he was free. Isabel was sat on their favourite comfy burgundy sofa in Bella’s Coffee Bar, with Edward’s cake and spiced tea, although she couldn’t understand how on earth he could drink the sickly sweet concoction of milky tea with cardamom and ginger! She had ordered herself an altogether more civilised Americano. Their favourite spot was in the corner, tucked well away from the entrance, the window and the counter, all of which were sources of distraction. She was well aware of how easily Edward could be diverted from the job in hand to looking at who came in and out, recognising a familiar face and going over for a chat, responding to female attention, all of which would mean they got nothing done. In came Edward, bundles of papers in hand, diving straight for his tea. ‘Aaaahh, that’s better!’ he said, as he savoured his first gulp. He cranked his head to peer around towards the counter. ‘No,’ replied Isabel with a surprised look on her face. ‘So it must be the brunette then, the one who always wears those big hoopy earrings,’ said Edward more confidently, but unaware that he was drawing imaginary circles around his ears whilst he spoke. Edward peered over, with a weird look on his face. They got down to business and went through the details for the following week’s cases. A three day trial to start the week, at the Crown Court, then Thursday and Friday pretty free to deal with his written opinions. There was a particularly urgent matrimonial one requiring advice on a proposed pension sharing order. Once they had finished talking shop, the conversation drifted towards more light hearted banter. ‘So, what are you doing for Christmas?’ enquired Edward as he started drinking his second cup of spiced chai latte. He never had anything else to drink at Bella’s. ‘Oh, just a quiet one, nothing much really. The usual I suppose. Lots of turkey, mince pies, Christmas pudding and of course plenty of telly. Isn’t that the best thing about Christmas, eating, and drinking, too much and watching Home Alone or The Sound of Music?’ said Isabel, trying to sound very blasé. Edward observed that Isabel rarely talked about her personal life, and if she did she was always reluctant to give away any details. It was all so very general. She always seemed to hold back. In fact, he knew very little about her. All he knew about her was what he had seen of her at work. 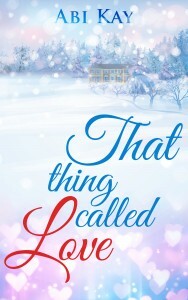 He hadn’t managed to ever glean anything about her personal life – he had no clue as to where she came from, whether she lived alone or not even if she had a boyfriend. She was a very private person, which was fair enough, albeit intriguing. ‘And yourself?’ she asked, quickly trying to divert the attention away from her. ‘I’m going back home to spend some quality time with my mum. I do feel a little guilty sometimes that I don’t go down as often as I should. It’s hard to get away. Although I am certain all I will get is “when are you going to get married and make your mother happy?” She’s on a mission now, and she means business. Helena, my younger sister, she married about four years ago and moved to Los Angeles with her husband. So now mum says she just wants to see me settled and she’s pinning her hopes on me to give her some grandchildren this side of the pond that she can spoil! ‘No pressure then!’ said Isabel. ‘Actually, she hasn’t been too good lately.’ Edward’s face turned a little serious, which was really quite rare. ‘Apart from get married!’ Isabel laughed. Edward displayed a little grin, which was no surprise to Isabel. He was definitely a ladies’ man, or at least had the reputation of being known as such. She was used to the comings and goings of his love life, it didn’t bother her much. As long as it didn’t affect his work. Edward was always the talk of the room whenever and wherever he entered. Yes, he could definitely have the ladies eating out of the palm of his hand if he felt like it. Isabel wasn’t sure if she could really see the attraction herself. He was very good looking, that was true enough, but she didn’t have the time of day for all that messing about. He definitely wasn’t her type. And anyway, unlike Edward, who could be led astray without much invitation, there wasn’t an awful lot that could deflect Isabel from her work. Edward turned to Isabel for some advice in respect of Amanda’s impending visit. ‘Then toss a coin! Blimey!’ Isabel said, as she looked at her watch. ‘It’s gone five o’clock, right I’m off, the weekend starts now!’ and with that, she wished him a good evening with Amanda and made her way to the train station. It was the middle of the night, or to be precise, it was 3 a.m. on Monday morning, when Isabel was woken from her deep sleep by the beep of her mobile. She slowly brought her hand out from under the duvet and blindly reached for her lamp. She rubbed her eyes when the light went on. She bent over and looked at her mobile to see that it was a message from Edward. Why on earth was he texting her at three o’clock in the morning, she thought to herself. Isabel started to reply to the text, but then she stopped. He was probably driving so she shouldn’t distract him. Should she phone or not she asked herself, then without thinking any further she called him. ‘Thanks,’ was all he could say, but she heard the anxiety in his voice. ‘Please don’t worry about anything this end, we’ll sort things out, you know that. You just go to your mum and look after her, and I hope she gets better soon.’ God! She was babbling. Stop talking woman, she thought herself. Isabel got into work early the next morning and sorted Edward’s replacement for the trial, although she was certain that when Edward heard that the only barrister she could find as his replacement was Norman, he would not be too pleased.